That’s because the area chef and restaurant owner is eager to explore different food styles. 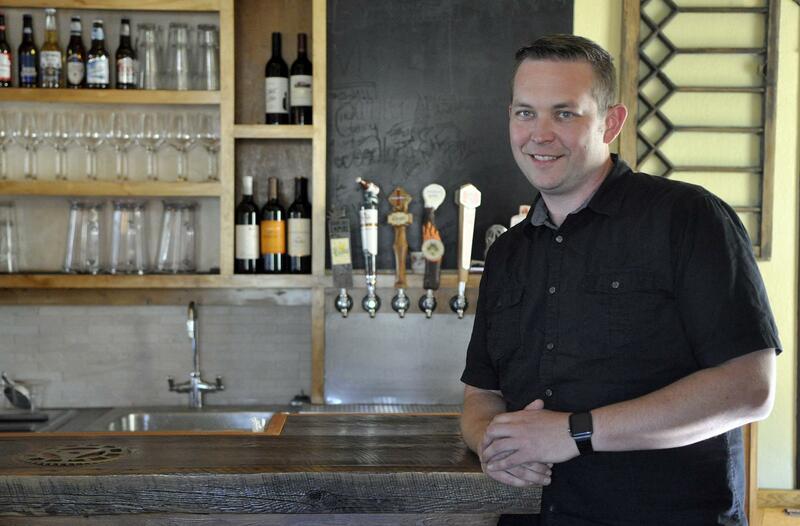 Thankfully, Inland Northwest customers are equally eager to expand their palates at some of the region’s top dining establishments he owns or has invested in: Wandering Table, Gilded Unicorn, IncrediBurger and Eggs, and Yards Bruncheon, all in Spokane; Farmhouse Kitchen and Silo Bar in Ponderay; Eat Good Café in Liberty Lake, and Republic Kitchen and Taphouse in Post Falls. In the future, look for IncrediBurger 2 plus Honey Co., both in Coeur d’Alene. Hegsted is also the culinary director for CraveNW, an annual summer food celebration in Spokane Valley. He’ll be among the chefs demonstrating their talents on May 12 at the Dorothy Dean Home Cooking Show. I started out as a dishwasher, trying to fill the gas tank in my car. While I’ve always loved food and cooking, I wanted to be an artist. I worked really hard, mostly because I like to work, and eventually moved my way up. I decided to try cooking at the Skills Center in Spokane and really enjoyed it. I went to Spokane Community College, then on to the Art Institute. I worked in Seattle and Spokane. After culinary school, I apprenticed in Los Angeles then moved back home. I’ve worked throughout Spokane and Coeur d’Alene my whole career. I landed the executive chef job at the Coeur d’Alene Casino where I learned the business aspects of running restaurants. I took the leap and decided to go out on my own. I took all the best people I know and put the band back together. With this extremely strong group of friends and peers we’ve found great success. No turning back! I’ve got eight restaurants now and things are running very well. How has food played a role in your life? I grew up like a basic Midwest kid, even though I was raised in the Northwest. I believe a lot of people in Spokane probably had a similar experience. Things like mac n’ cheese, Hamburger Helper, stroganoff, these now-iconic American foods, are what I base a lot of food on: taking things completely commonplace and making them a little more modern using high-quality, seasonal ingredients. It’s the foods I love to eat … and I was a pretty chubby kid, so there’s that too. I crave authenticity. Not in a traditional sense, but more in an experiential sort of way. When I’m eating or preparing food, I’m constantly seeking where you can feel the soul in it. Eating around the world and ultra-fine dining is nice, but those aren’t the essential experiences I crave. When you have a piece of fried chicken that changes your entire perception of fried chicken, that’s a life moment. Do you have a Dorothy Dean story? I didn’t realize this until maybe two or three years ago, but I used to be obsessed with cooking. I would get home from school and watch “Great Chefs of the World,” cut out Dorothy Dean recipes and try to cook them. Really, her essence was the same Midwestern palate I grew up with. What have you observed about the Spokane-area food culture? In the last 10 years, things have changed dramatically. There has always been good cooking happening, but now as a community, it is really getting embraced. Chefs are helping to shape the culture and the scene. People are actually traveling here because of what is happening in the art and hospitality industry. There are more independent restaurants, and chefs are taking risks and creating really amazing food. Any advice to anyone interested in cooking professionally? Put your head down and work. Even going to culinary school can’t teach you everything, and the only way to find yourself and figure out what and how you should be cooking is to be quiet and learn. Observe, take notes, eat out as much as possible, travel and take it in. Learn as much as you can, then experiment like crazy to find your way. I am extremely happy to be a part of this community and see where it has come from and where it is headed. The people of the Inland Northwest have been very supportive of our community and myself. I am grateful and will continue to work hard to make this a better place to be a little bit each day. Published: May 7, 2018, 6 a.m.